Combine coconut milk, sugar and ginger in a small saucepan. Bring to a simmer over medium heat. Simmer for 1 1/2 minutes. Remove from heat and let stand for 20 minutes. Strain into a large bowl. 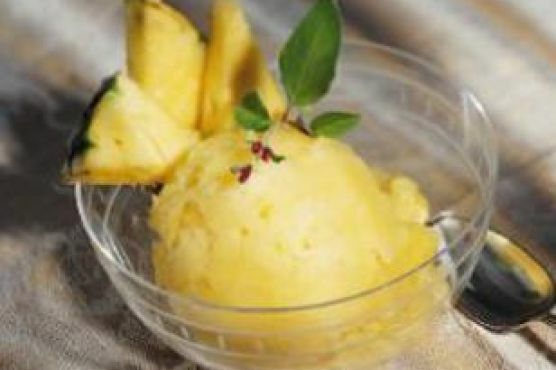 Place pineapple in a food processor and process until smooth. Add the pineapple puree to the coconut milk mixture and whisk until blended. Whisk in lime juice. Cover and refrigerate until chilled, about 1 hour.